Remember Sarah + Adam's awesome steampunk wedding? 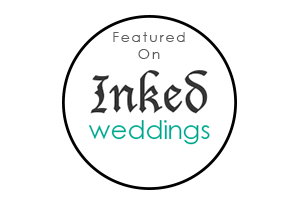 We are thrilled to have Inked Wedding feature it on their blog this morning. How exciting! Be sure to visit their site and check out all the other one-of-a-kind weddings.